We invite you to experience Silver Spring Golf Club. You will enjoy 36 holes of spectacular golf, good enough to be given a 3 1/2 star rating by Golf Digest. Our two signature courses, The Island and The Falls, each provide a unique golf experience and a test of shot-making abilities. Par 70, 5582 yard Falls Course is shorter but features some beautiful elevation changes and it's very playable for all skill levels. 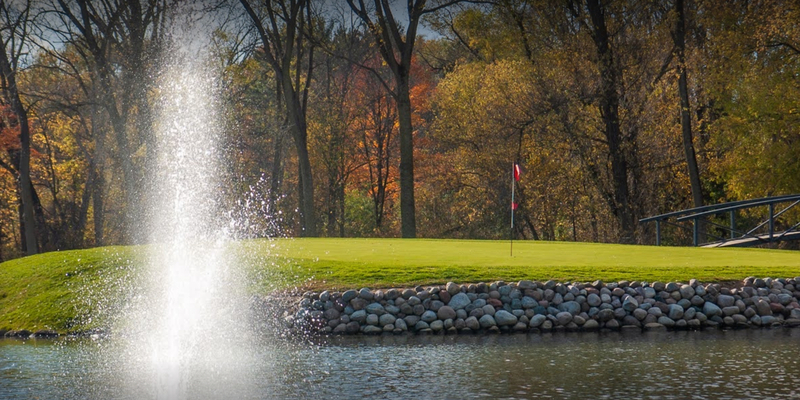 The Island Course is the signature course at Silver Spring and features Wisconsin's only island hole in the state. Located north of Milwaukee off Highway 45. 6 miles west on Silver Spring Drive. General Public - 7 day advance tee time registration on Island & Falls Gold and Falls Members - 14 day advance tee time registration on Island & Falls. 5 day advance tee time registration direct to Willow Run Sterling Club - 10 day advance tee time registration at Island and Falls, 5 day advance tee time registration direct to Willow Run. 10 day advance tee time registration at Island and Falls, 5 day advance tee time registration direct to Willow Run. Members may rotate range privilege within family. Highest ages applied first in cases of member purchasing fewer range passes than family members. Members may rotate cart privilege within family. Highest ages applied first in cases of member purchasing fewer cart passes than family members. Cart pass may not be applied for use by guests. All leagues are corporate leagues where you must have a minimum of 16 players to receive league pricing. 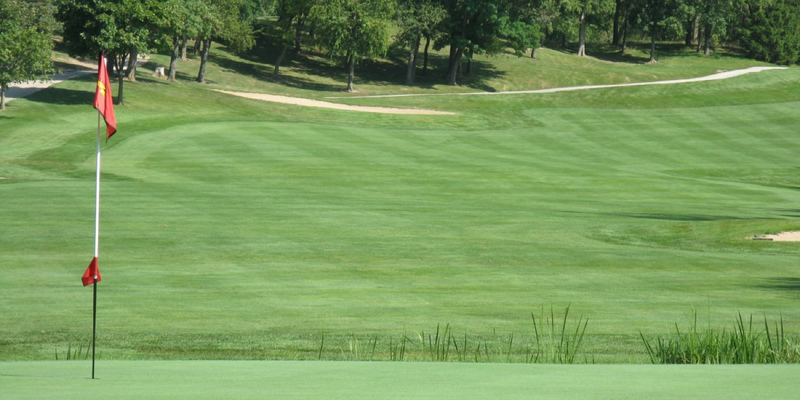 With two (2) golf courses, Silver Spring Golf Club is a great outing venue. With our onsite banquet facility, large groups can tie in food and beverage very easily. Please contact us if you would like to find out more information about holding your next golf outing at Silver Spring Golf Club. Silver Spring Golf Club is a great place to improve your game. With multiple instructors, our staff can assist you with all your game improvement needs. Silver Spring is quite simply the largest and most versatile premier wedding venue in the Milwaukee area. Excellent food, unparalleled room configuration options, gorgeous sweeping vistas and decades of experience serving weddings make Silver Spring a favorite with brides and wedding planners. Our Roof Top Patio, historic silo, private terraces and beautiful golf course provide the perfect backdrop for your perfect day. Our package pricing means you receive everything you need for one price without worrying about add-ons or hidden charges. At Silver Spring we have the experience to know that you don't know what two entrees you want to serve for your reception immediately upon engagement so we offer packages that let you lock in your date and price without worrying about menus until later. Need a sounding board, want to know our most favorite decoration ideas ever, or stuck on a planning issue - just ask and our wedding professionals will be delighted to share their wisdom, experience and enthusiasm. At Silver Spring, go ahead and live the dream...we'll take care of reality. Contact us today to learn more or check date availability. Contact Silver Spring Golf Club at (262) 252-4994. Contact Silver Spring Golf Club at (262) 252-4994 for onsite or nearby dining options. 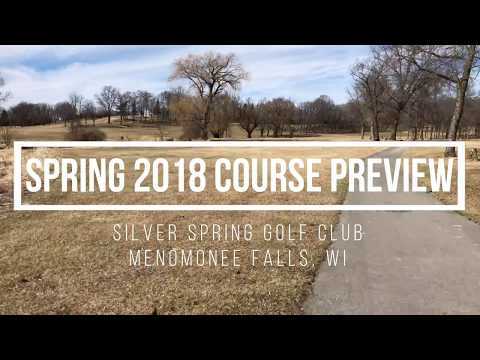 Watch the Spring 2018 Course Preview | Silver Spring Golf Club Video. 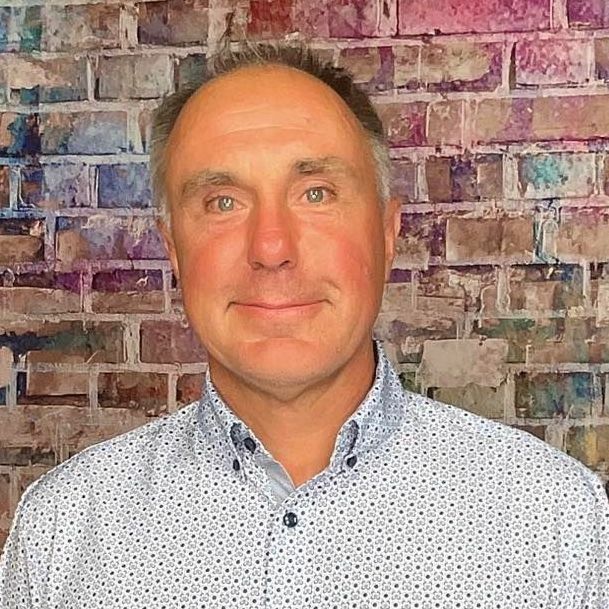 This profile was last updated on 04/19/2018 and has been viewed 57,994 times.